Anirban Lahiri, the world's highest ranked Indian golfer, will play in his eighth successive Major at the US Open that will be held in Pennsylvania from June 16 to 19. Indian golfer Anirban Lahiri will play his eighth successive Major next month after confirming his place for the US Open at Oakmont Country Club in Oakmont, Pennsylvania from June 16 to 19. 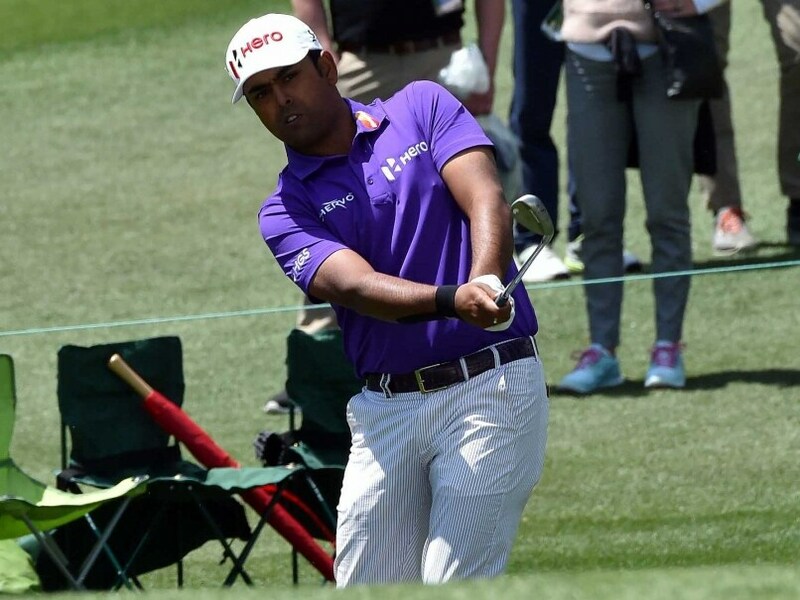 Following his Tied 46th place at the AT&T Byron Nelson golf, Lahiri stayed at the 56th place, which ensured that he stayed on in Top-60 of the World Golf Rankings. The US Open is the only Major where Lahiri has not made the cut so far. This will be the eighth successive Major for Lahiri, who is also confirmed for the British Open Championships and the PGA Championships later this year. After his maiden appearance at a Major in Open Championships in 2012, Lahiri has played seven Majors in a row dating back to the Open in 2014. He has the best streak of Major appearances by an Indian. The next best is five by Jeev Milkha Singh, who played all four Majors in 2007 and then the Masters in 2008. On the PGA Tour, Lahiri has played 12 events and missed the cut only three times and was runner-up at the Hero Indian Open in March, an event co-sanctioned by Asian and European Tours. Anirban is also set to tee-up at the Rio Olympics later this year, alongside compatriot, SSP Chawrasia. Also qualifying for the US Open from the Asian Tour are Korea's KT Kim and Thai duo Kiradech Aphibarnrat and Thongchai Jaidee. The four also represented Team Asia in the EurAsia Cup in Malaysia earlier this season. They have all qualified by being in the top-60 of the Official World Golf Ranking as of Monday. Three other Asian Tour stars, current Order of Merit leader Marcus Fraser of Australia and Korean duo Soomin Lee and Jeunghun Wang, are currently 68th, 69th and 71st respectively and can tee up at Oakmont Country Club from June 16 to 19 if they break into the top-60 by June 13. The 26-year-old Kiradech (World Rank - 45) will make his first appearance at the US Open which comes on the heel of an impressive tied 15th finish in his Masters Tournament debut in April. Thongchai (World Rank - 48) will be making his sixth appearance in the U.S. Open and his fourth in succession. Kim, 29, (World Rank - 42) is one of the in-form players this season from Asia where he has won twice in Japan to maintain his brilliant form in which he also won five times last year.